Today Americans will celebrate Independence Day. There will be fireworks, and cookouts, and hot dog eating contests. The Sci-Fi Channel will probably run their usual Twilight Zone marathon. The alleged “History” Channel will almost certainly waste air space with absurd shows like American Pickers. There will be little mention anywhere about the War for Independence, our revolt against England. There’s a good reason for this; no politician, and no mainstream “journalist” wants to focus any attention on how this country was born. That’s the last thing a corrupt ruling elite wants to do; remind those they rule over that their ancestors violently overthrew a much less powerful tyranny. 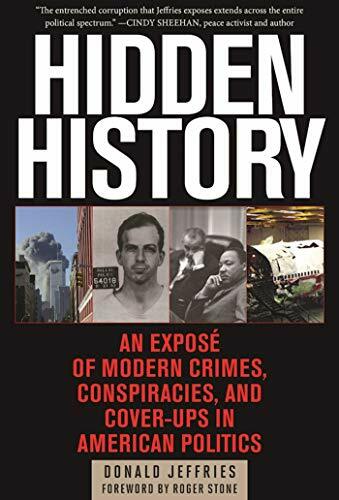 Hidden History: An Exp... Donald Jeffries Best Price: $7.37 Buy New $18.81 (as of 04:35 EDT - Details) I have remarked before on the curious phenomenon of Hollywood ignoring the Founding Fathers. Even during the Golden Age of Hollywood, not a single picture was made about George Washington, Thomas Jefferson, Patrick Henry, Benjamin Franklin, John or Samuel Adams, or John Hancock. In fact, the film colony tended to mention the American Revolution itself only sparingly. Again, there was an obvious reason for that; those in charge don’t want to mention anything about the forcible removal of a previous, much less rotten bunch of rulers. Instead, over the course of time, American “patriotism” has been converted into a ghoulish worship of state power, exemplified by the finger-pointing “Uncle Sam” figure. Modern Americans adore the flag, but not the Constitutional system of checks and balances. And certainly not the Bill of Rights. No one seems to like them. This all happened gradually. The senseless War Between the States, known popularly as the Civil War by the northern victors, consolidated power in the central government, and permitted the first imperial presidency. Lincoln’s persistent unconstitutional actions, and the failure to recognize them as such, paved the way for the countless future transgressions against the Constitution, and the civil liberties of the people. By the time World War I rolled around, “Uncle Sam” posters propped up everywhere. The growing power of the establishment press, combined with the blossoming film world, created lovable dough boys and whipped up hatred against the dirty “Krauts,” the dreaded “Hun.” Opponents of the pointless conflict were thrown into prison, including the noted socialist Eugene Debs. This was not merely a renewal of John Adams’ Alien and Sedition Acts, but overt approval of the precedent Lincoln set with his diabolical roundup and illegal imprisonment of his political opponents. The original radical revolutionaries, the Sons of Liberty, would be aghast at mindless, modern American patriotism. The colonists wanted free and independent states, with a central government that had very limited power. No Founding Father outside of Alexander Hamilton- the central banking devotee who is so beloved now by our culture- would support our overreaching federal government, fueled by politically correct authoritarianism. It’s an indictment of American gullibility that a play glorifying the only Founding Father who loved debt and the banking racket, Alexander Hamilton, has become a popular Broadway smash. Not only that, but he’s not a dead white male, like all the other Founders. He’s black and hip, and a talented rapper. It’s a certainty that virtually none of the almost exclusively white audiences for the play know the least bit about the real history of Hamilton, let alone the real history of our founding. I would venture that a good portion of them believe Hamilton really was black. It was probably predictable that July 4th celebrations would revolve around fireworks, and flag worship, instead of liberty and unalienable rights. No one remembers the Declaration of Independence any more, and that’s a good thing for our leaders. Just reading about a formal protest against finely detailed acts of tyranny, might give even our comatose sheeple reason to pause. Instead, there are always choruses of “USA! USA!” to guide them in the proper direction. Well, they can be mentioned negatively, of course. All except for the hip, black bankers’ favorite Hamilton are routinely denigrated as “racists.” They probably were all chauvinists as well, although there is little historical evidence of any feminists running amuck in the British colonies. Certainly no transgenders were around. I’m sorry to rain on everyone’s Fourth of July parade. I just can’t be patriotic, when that term has been co-opted into being an unthinking supporter of the state. A state which is thoroughly and hopelessly corrupt. A real American patriot supports the ideals of human liberty and unalienable rights. Donald Jeffries [send him mail] is the author of the best seller "Hidden History: An Expose of Modern Crimes, Conspiracies, and Cover-Ups in American Politics," published in November 2014 by Skyhorse Publishing. Author of the 2007 sci-fi/fantasy novel "The Unreals," which has been described as a cross between The Wizard of Oz and The Twilight Zone, and compared to A Confederacy of Dunces and classic Russian literature. A second edition of "The Unreals" was published in February 2015 by Pocol Press. Long time JFK assassination researcher. Marketing more fiction and nonfiction, including a book about bullying and the social hierarchy, and a book about the Natalee Holloway case. 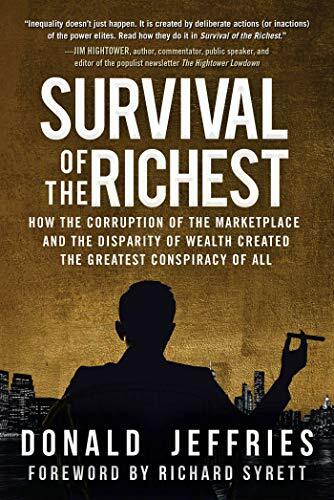 His latest book is Survival of the Richest.